The Thai telecommunications conglomerate True is getting rave reviews worldwide for its latest spot, "Giving," which tells the story of a man unexpectedly rewarded for a lifetime of good deeds he performed without expecting anything in return. 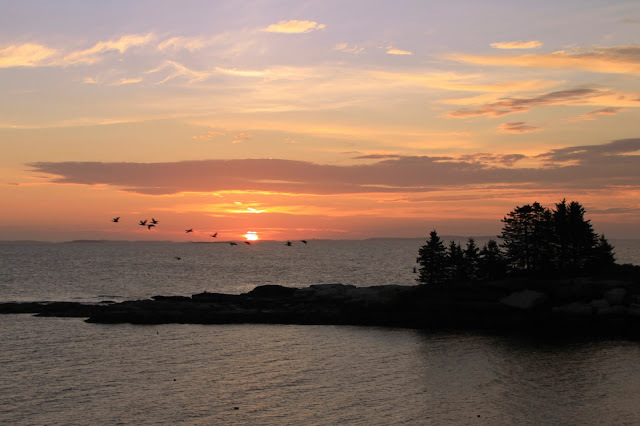 We just returned home today after a week away in New Harbor, Maine. 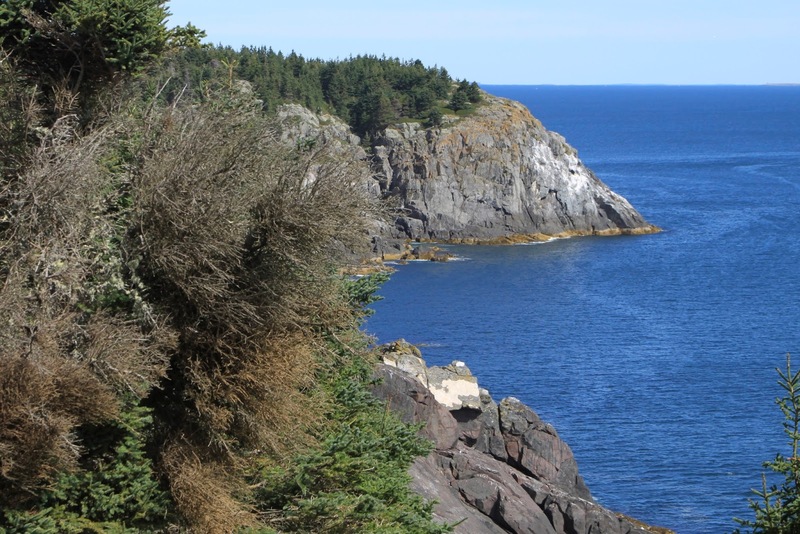 Last year MB and I went there for our vacation and the only thing we could afford was a small two room place in the village area just a couple blocks from the beautiful back cove. We spent that time walking along the rocky coastline and decided to come back again this year if we could swing it. 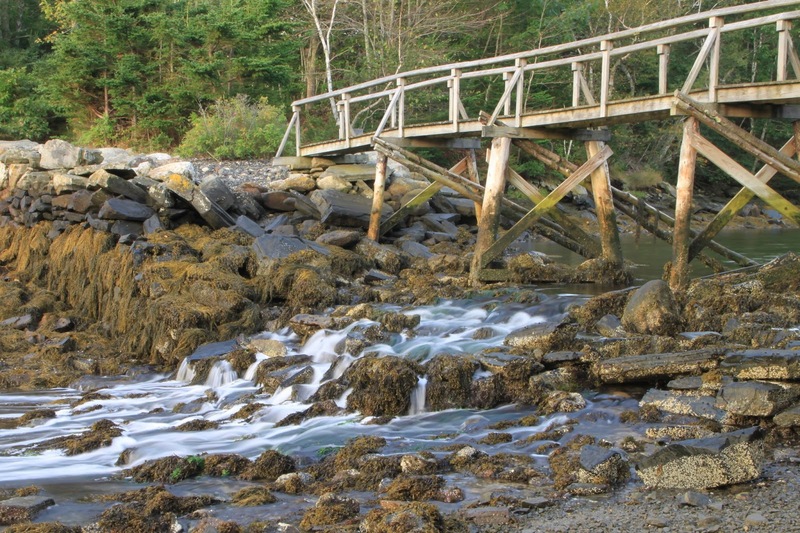 We found a cottage right on the coast but the cost for a week was more than we could handle. So we talked with Addams-Melman housemate Karen Wainberg and she decided to join us. MB also invited her dear friend Marian Stanton from Massachusetts to come along. MB and Marian have been close friends since they were in first grade in Cambridge. Marian is a wonderful photographer and took these fantastic pictures. You can see others that she took while with us here. 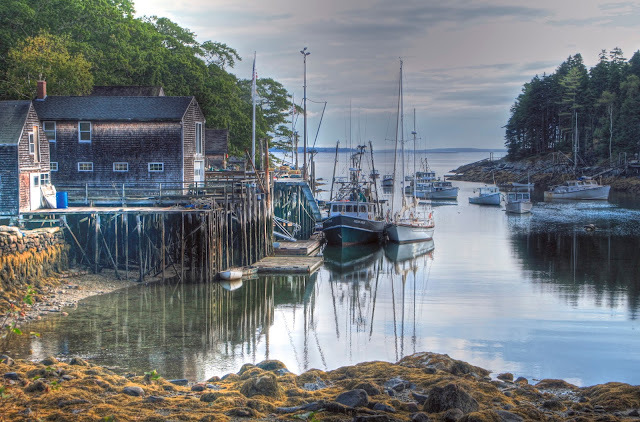 One day MB, Marian and I took the ferry boat out to Monhegan Island, an hour ride. We did the hike up the rocky cliffs and thru the woods. On one side of the island, with the wind blowing hard, we viewed the remains of a shipwreck from years past. 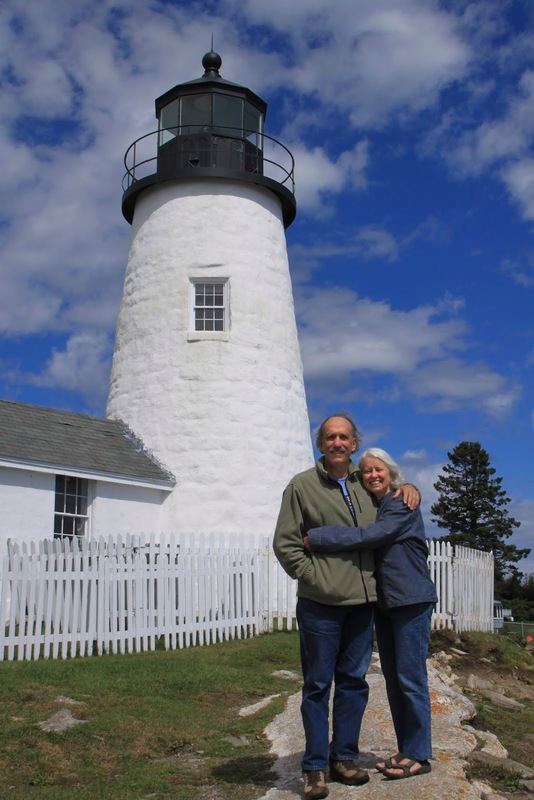 On another day we went just a few miles down the road from our cottage to Pemaquid Point that is famous for their lighthouse and magical rocks. (We thought about the coastline on Jeju Island, South Korea while here.) 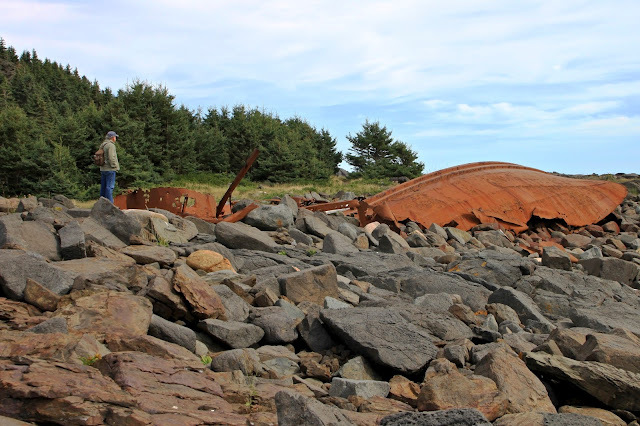 We were particularly taken by a part of the shore area where cairns were assembled by people who visit this spot. I was drawn to this place and began making many of these wonderful sculptures - I posted one the other day that I decorated with purple seaweed, kind of a self portrait. A wonderful sacred playground....I have to go back do do this some more. We did lots of walking and sitting on the porch looking at the incredible view of the ocean. For a couple days we had huge thunderstorms and intense fog which obscured our view but brought a cozy feeling to our cabin. Most days we went to the local library where we could read the newspaper and download my hundreds of emails. Then in the evening I'd look through them to see if anything necessitated a quick response or not. 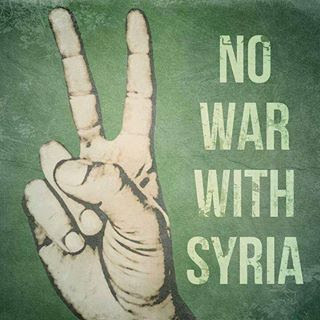 I was able to keep up with the Syria story this way and found myself writing a blog post about the people's initial victory to stop an attack. I also wrote a more personal story and will post it later on. We also read alot, cooked good meals, and sat by the evening fire. We are back home and MB has taken our high school age local friend to the movies. We'll go for pizza tonight to celebrate the end of our fine vacation. 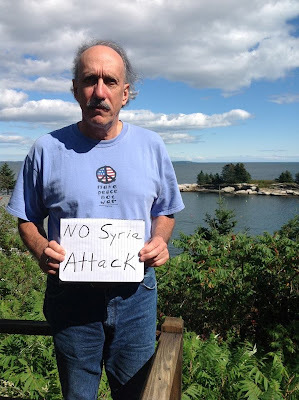 Tomorrow MB and I will finish mapping the rest of the Maine Drone Peace Walk that I am organizing for October 10-19. It's coming together well and excitement is building. Veterans for Peace will hand out information about it during Maine's famous Common Ground Fair later this month. CodePink Maine coordinator Lisa Savage is also promoting the walk on Facebook so word is spreading. We often say how lucky we are to live in Maine. This past week just made that feeling even stronger. 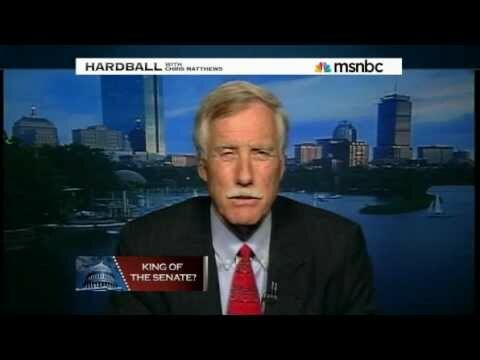 Sen. Angus King (Independent-Maine) still has not publicly declared his official position on Syria attack. But today on the way home from New Harbor, Mary Beth and I got a good glimpse of his thinking. He hosted an interview with former Maine Republican Sen. William Cohen, who also served as Bill Clinton's Secretary of Defense. The radio interview was on WGAN's "Inside Maine" show. During the interview Sen. King said that he'd seen the administration's evidence of Syrian chemical use and that it was "strong but circumstantial". King agreed with Cohen that the growing "isolationism" inside the Republican party (by the likes of Rand Paul) was problematic. King said that on his recent trip to Jordan and Turkey, The Arabs (Saudi Arabia, Emirates, Jordan) want us to "quarterback" this thing and that "we should have started that a long time ago". Cohen and King trashed Vladimir Putin several times with Sen. King calling Putin's recent Op-Ed in the New York Times "A joke". King complained that the Russian leader should not have access to American media like that. You can see Putin's piece here. King admitted that Al-Qaida forces were mixed in with the so-called Syrian rebels but discounted their overall influence by saying they only made up about 20% of the rebel fighters. Cohen suggested that Obama should have just attacked Syria and then gone to Congress for discussions after the damage was done. He suggested that the 1998 US four-day Desert Fox attack on Iraq was a model to have followed in this case. Cohen called for the taking out of Syrian military infrastructure, which we know is what Obama wanted to do anyway, as a way to help make it possible for a "rebel" victory in Syria. King concluded the show by thanking Cohen: "You helped me think it through...I can argue it pretty persuasively either way.....do we have to authorize the strike to make the negotiation possible?" Cohen agreed that this was the strategy to pursue as long as there was a short leash on the timeline to get rid of chemicals. It appears that the Obama administration will pursue this line - a new Congressional resolution giving Syria and Russia a very limited time to act coupled with permission to bomb if that arbitrary "red line" timeline is not met. So it seems clear to me that King will pursue this path to allow limited diplomacy and give permission for military strikes. In the days following Obama’s recent request to Congress to “delay a vote” on authorizing his Syria attack many peace groups were sending emails around declaring victory. In many respects it was right for people to celebrate the fact that the House of Representatives was going to resoundingly defeat Obama’s “red line” military strategy. Even the vote in the Senate was becoming more contested than anyone ever imagined possible. Here in Maine our Republican Sen. Susan Collins, always a loyal supporter of the Pentagon and endless war, came out against the Obama Syria plan. That indicated something larger than normal was happening. But the left must be fair before we quickly declare this as our victory. The truth is that during the Obama administration’s time in office, the peace movement across the US has been a weak and fading shell of what it was prior to George W. Bush’s “shock and awe” attack of Iraq in 2003. Since Obama took office he has successfully demobilized the peace movement and other progressive organizations, as legions of “liberals” who once declared themselves peaceniks have taken their protest signs and their peace group memberships back home and locked them up in a closet. In recent months, as Obama’s rhetoric and CIA-directed war against Syria escalated, these same liberals have been reluctant to emerge from their self-imposed isolation. The powerful Democratic Party front-group MoveOn was slow to jump into the Syria issue, only deciding to poll their online members during the last two weeks. By that time it appeared that an Obama attack on Syria was inevitable. By the time MoveOn, and some other liberal organizations, got into the Syria issue there had already been significant efforts underway by some right-wing forces to organize against an attack. Amazingly we heard Republicans in Congress sounding very much like left wing anti-war activists in their opposition to an attack. Right-wing radio “shock jocks” like Rush Limbaugh, Glenn Beck, and Michael Savage were correctly opposing the attack for reasons very similar to ours – it was illegal, dangerous, destabilizing, too expensive, would be wrongly supporting terrorist groups like Al-Qaida and their principle funders the Saudi Arabian “royalty”. It is obvious that grassroots right-wing opposition to a Syria attack was paying off in Congress. Leading anti-war Rep. Alan Grayson (D-FL) was reporting that Republicans were 10-1 opposed, while Democrats in the House of Representatives were 4-1 in opposition. Certainly, some of this opposition by Republicans was part of their long-time anti-Obama strategy. But it would be wrong to conclude that was the primary motivation for their strong opposition. I saw enough interviews of ordinary American citizens from conservative communities who were saying, “We can’t afford these endless wars. Our communities are falling apart. We can’t keep doing this.” Their conservative representatives in Congress were hearing these messages loud and clear. We should embrace those messages and those who spoke them – no matter what political party they belong to. We also have to give conservatives credit when they have in the past harshly critiqued the traditional liberal base for not standing against wars when Democrats are in power with the same ferocity as they have when guys like Bush-Cheney ran the government. So in my mind this initial victory has been a win for all the American people. It’s not only a victory for the left, or the peace movement, per se. We could not have slowed down Obama’s drive for a dangerous and destabilizing attack on Syria without the solid support of the right wing across the nation. We should be quick to acknowledge that. I for one see this as something to build on. I would hope that people from the left and right have learned important lessons from this current episode. Clearly it is in the interest of all the people that we put a leash on the war appetite of the military industrial complex. Hopefully all of us can better understand that on foreign policy issues “we the people” must reign in the corporate dominated military empire whose interests are not in alignment with those of the general public. Hopefully the nation develops more confidence in itself from this remarkable display of people’s power. We are going to need each other as this battle is far from over. The world marks the 12th anniversary of 9/11. RT's Anastasia Churkina meets with first responders who feel abandoned by the system, and share their personal struggles of fighting illnesses while they wait for compensation that they are no closer to receiving over a decade after the tragedy. Yeah, come on Putin, you gotta believe that the US-NATO first-strike "missile defense" system now being deployed to surround Russia and China is really aimed at Iran! What's wrong with you Putin? Don't you trust Obama when he says it is not aimed at Russia. 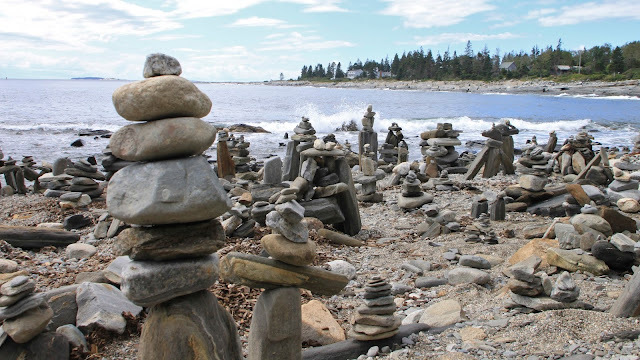 I made this cairn (on the left) while at Pemaquid Point the other day.....actually quite fun. A WAY OUT OF THE DARKNESS? HELP OBAMA PAY FOR HIS WARS!?!? !